This time for our trip to India we chose Qatar airways. Seeing its publicity Qatar Airways, one of the fastest growing airlines in the world. Taking you more personally! every now & then on BBC encouraged us to book for the same. This airline is based in Doha, Qatar covering around 70 international destinations. Check-in at Paris was very smooth though they were very strict about luggage weight. In-flight service was good with very comfortable seats having enough leg room; quality of the food was better than what we had before and was good with choice of films and music on demand. In short, good service for almost 7-8hrs.of long haul flight. 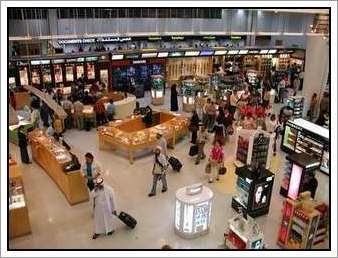 What let the airline down was ground services at Doha airport which was awful. Too congested, with no seats, toilets overloaded. There you can see all South-Asians in blue collar jobs. 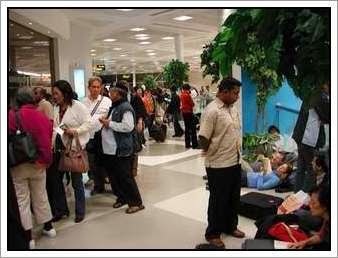 Services at airport were very poorly managed. Qatar generously gave free dinner coupon for 4 hours stop-over in the age of no-frill air lines. Finding a long queue and no place to seat we opted for a quick stroll in the small duty free section. Having all kinds of perfume from France, small souvenirs, wines, cigarettes and YES last but not least is our yellow metal (gold) shop. Where every Indian was making a pilgrimage. Truly, wherever & whatever the price of gold be India’s fascination towards it will not lessen. We too went there especially Pamela who is no less. Now having watched Syriana few days before it looks as if few of its scenes were getting played there. Arab men in there white dress and women in their black just 4 feet behind them. And the same goes for those South-Asian working community in middle east. It was time to board for our next flight from Doha to Delhi. 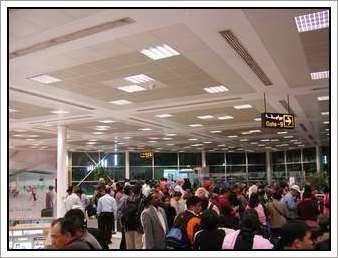 Everyone was in rush to get into the flight showing their so called Indian etiquettes as if they have bought the flight; and flight was going to leave without them. Again in-flight service was good along with food menu. As the flight landed people from rear end seem to be in more hurry then those who were sitting at front. Best part was the person from back who came running to be the first to take exit from economy class was the one who was asking for help at Immigration counter as he was not able to fill it himself. May God bless those Indians! Otherwise rest journey was peaceful. Envy me if you can !